2. Generously season inside the belly and both sides of the fish with salt and pepper. 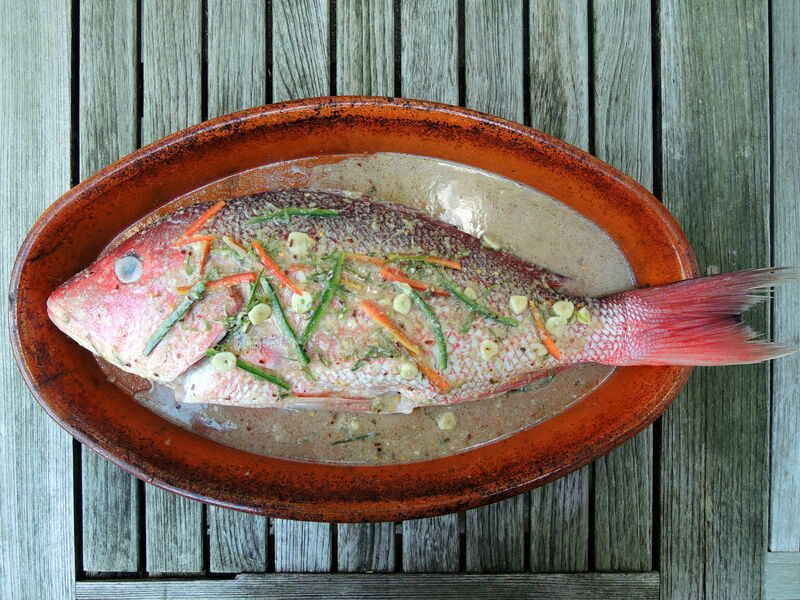 Place fish in a roasting pan. 3. Combine the canola oil with the coconut milk, lime zest and juice, ginger, coriander, garlic and chili flakes in a bowl and stir to blend. 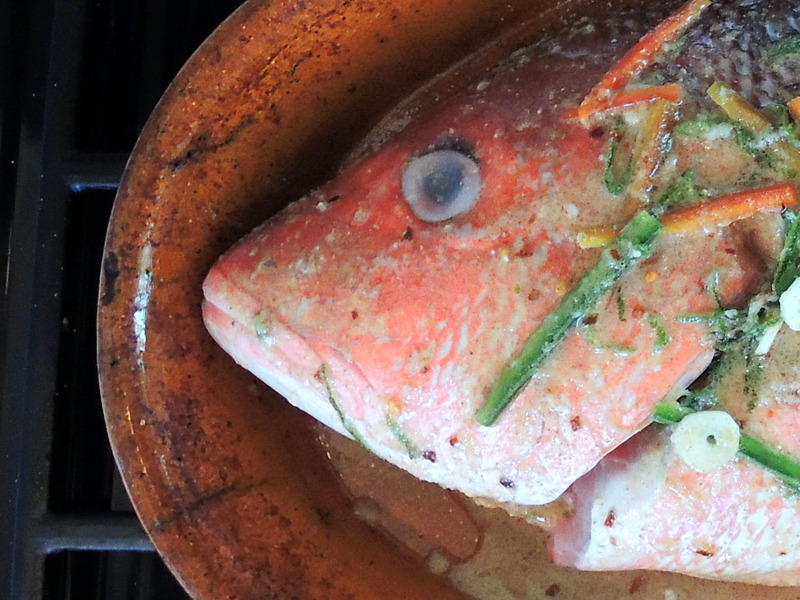 Spoon the spice mixture over the snapper, cover tightly with aluminum foil and bake, basting frequently, for 45 to 55 minutes, until the fish just flakes, or until a metal skewer can easily be inserted into the fish and, when left for 5 seconds, feels warm. 4. If you choose to plate the snapper, spoon the coconut rice onto the middle of 4 plates. Fillet the snapper, running a knife lengthwise down the fish at about the center, to separate the side into 2 fillets, and then under the flesh to separate the fillets from the bone. Carefully lift off each fillet and place it on top of the rice. When the top fillets have been removed, lift off the fish bones and fillet the bottom fillets in the same manner. Finish with a squeeze of fresh lime juice and garnish with the chiffonade of basil and cilantro.